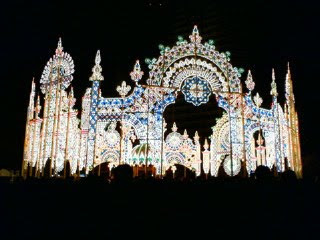 I had seen Luminarie in Kobe last night. 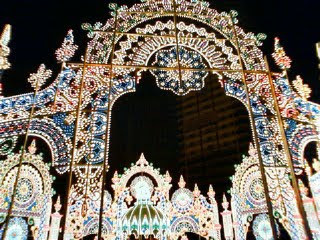 It's so beautiful.....I was impressed. 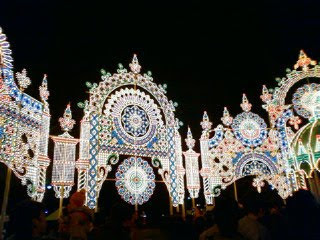 The design is the one made by the Italian. The mind of Hanshin-Awaji (Kobe) Earthquake victim's repose of soul was put, it entrusted them with the dream and the hope for the city to the revival and the reproduction, it was held for the first time in December, 1995 when the great earthquake happened, and big impression, courage, and hope were given to the town and the citizens in Kobe brokenheartedly due to the earthquake.